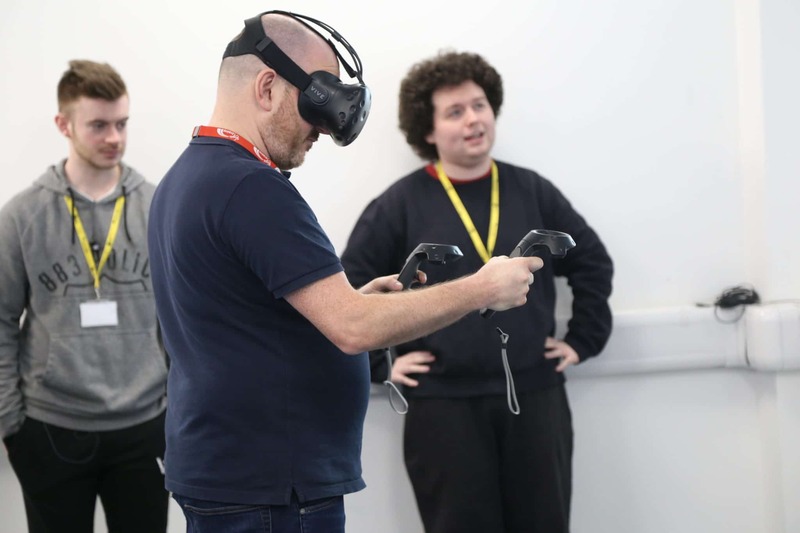 Representatives from Virgin Trains have visited Solihull College & University Centre at the completion of their partnership project. 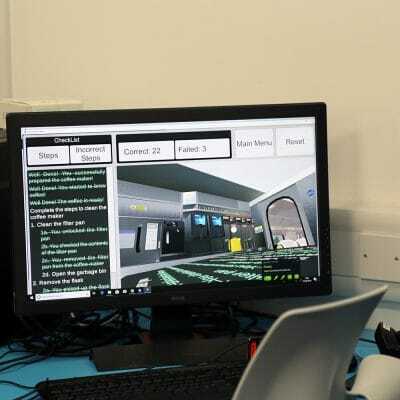 Computing degree level students have finished work on their virtual train carriage, built for use as a training tool for the company. 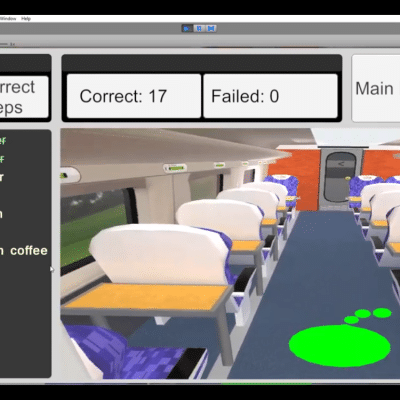 The VR environment will be used to assist Virgin with safety initiatives in a train kitchen. 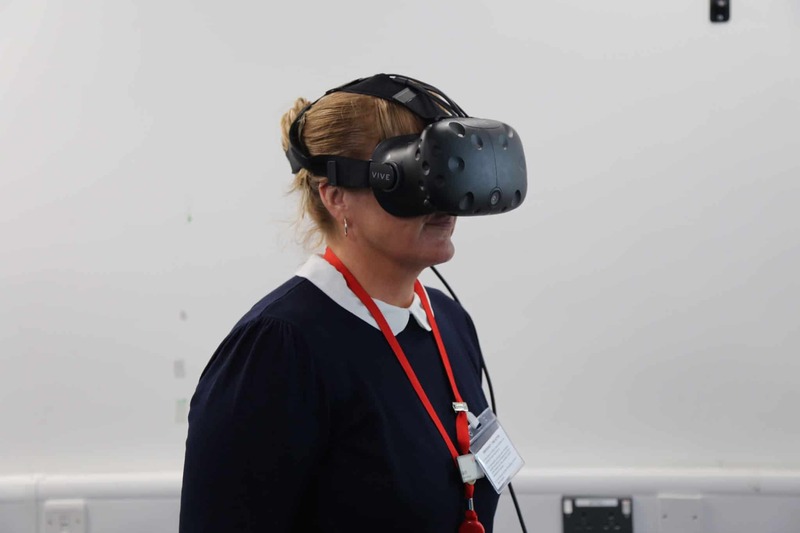 Virgin representatives Garry Hall, Head of Safety, Richard Taylor from the IT team and On Board Managers, Andrew Rennie Scrivens and Sarah Griffiths, attended the demonstration. On Board Manager Sarah trialing out the VR. 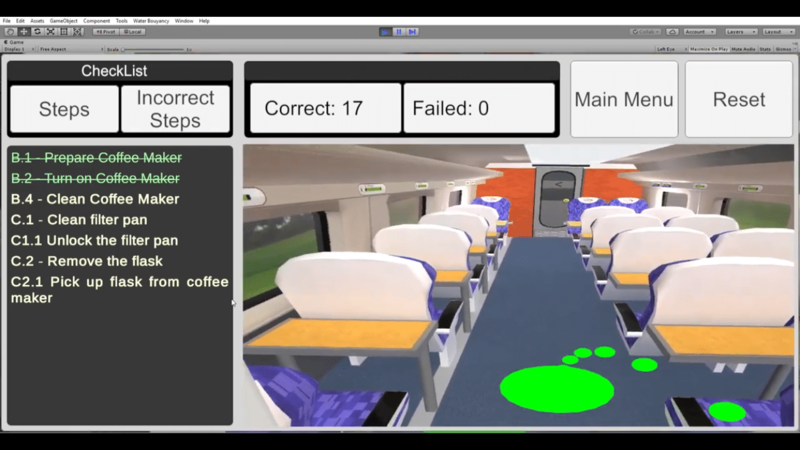 Andy Rennie Scrivens, On Board Manager added: ‘This project gives trainees the possibility to reach every area of the train. For training new starters or refresher training it could be a massive plus. The likeness to the kitchen is brilliant. I can see this being useful to every grade’. 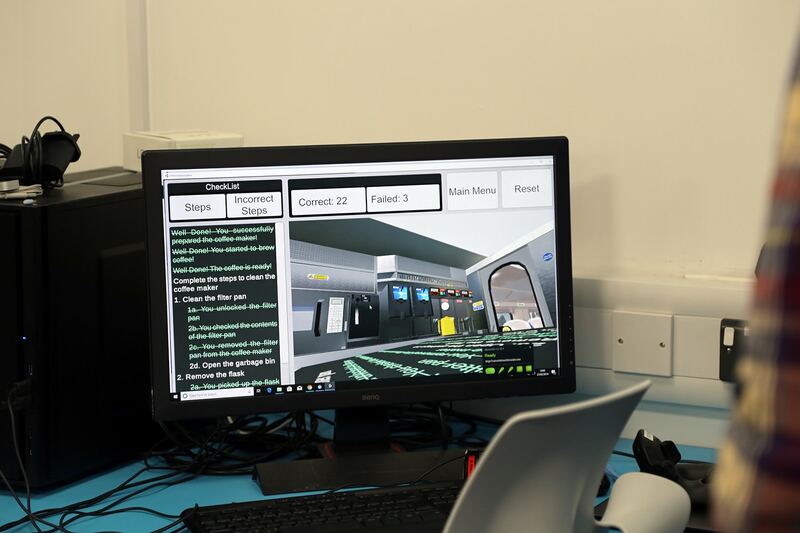 Head of Computing at the College, Mohammed Mayer commented: ‘Virtual technology can be used to simulate so many different situations, from something small like making coffee, to creating an entire train carriage for training. This sort of project solves a real life problem. It has been a fantastic achievement by the students and one we hope to see implemented’. 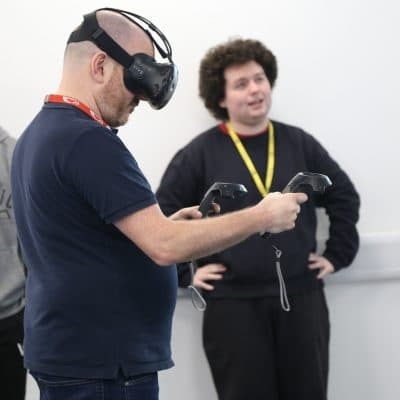 If you are interested in studying computing or virtual reality at the College, please visit www.solihull.ac.uk.